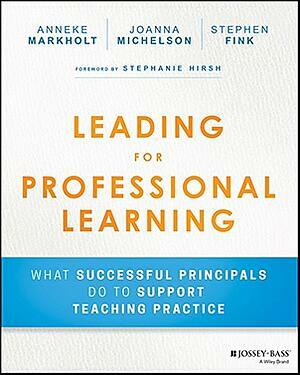 In a new podcast episode from Principal Center Radio, Justin Baeder interviews the Center for Educational Leadership's Anneke Markholt and Joanna Michelson about their new book, Leading for Professional Learning: What Successful Principals Do To Support Teaching Practice. How do you improve the quality of learning opportunities for all students, particularly those students who have historically been marginalized? That is the central question galvanizing a vision around teaching practice and leadership practice. Markholt and Michelson talk about what it takes to be a principal who strives to keep students at the center of teacher professional learning efforts. The discussion touches on how to land on very specific outcomes for teacher practice and student learning; the leader's role in assessing what is happening with instruction in a school; and building a leadership team of teachers. They make the case that professional learning is not an event; at its best, professional learning is an ongoing part of how people operate in their school. Listen to the interview at Principal Center Radio.